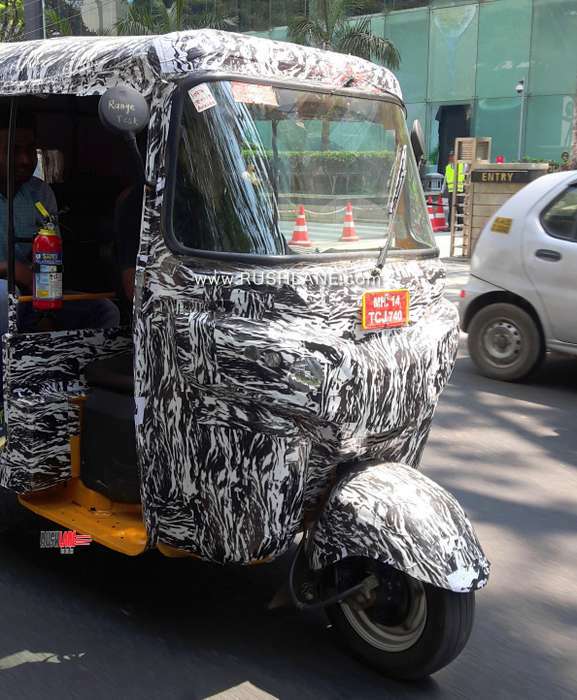 Bajaj had showcased an electric rickshaw at the MOVE summit last yer. 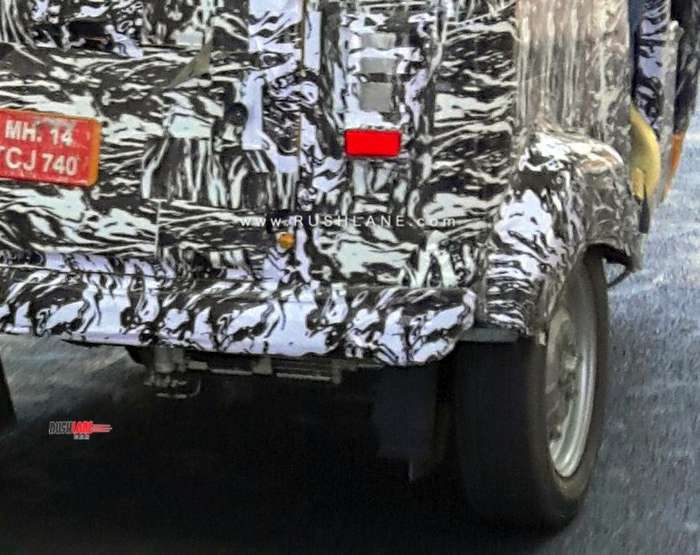 Hat tip to automotive enthusiast Shreyas for sharing exclusive spy shots. 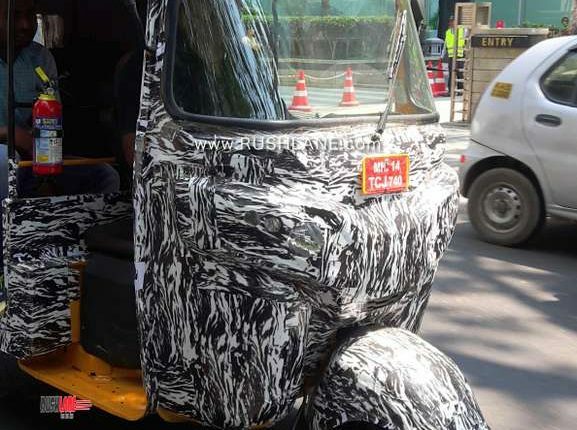 Bajaj Auto Limited had shown off the new RE electric auto rickshaw at the 2018 MOVE Summit in September 2018. 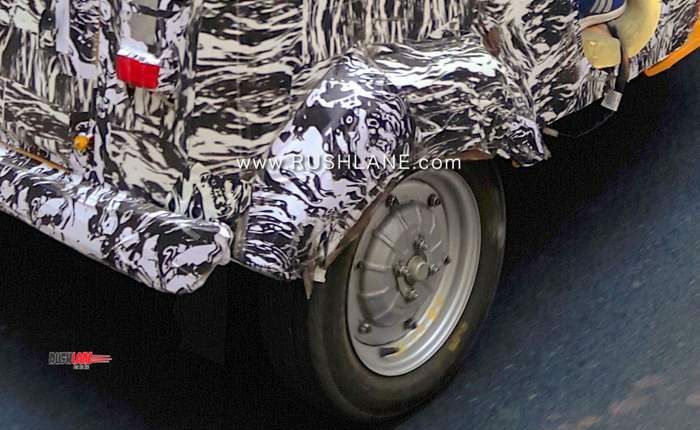 It was seen testing at Sion, Mumbai at the end of last year and recently, it has been spotted on test in Bangalore. 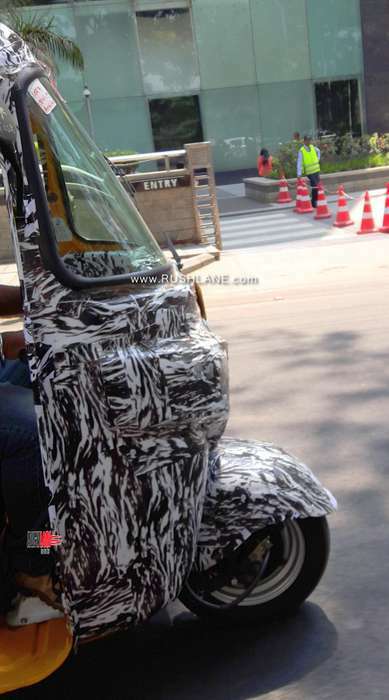 Bajaj will launch a new brand later this year, called Urbanite. 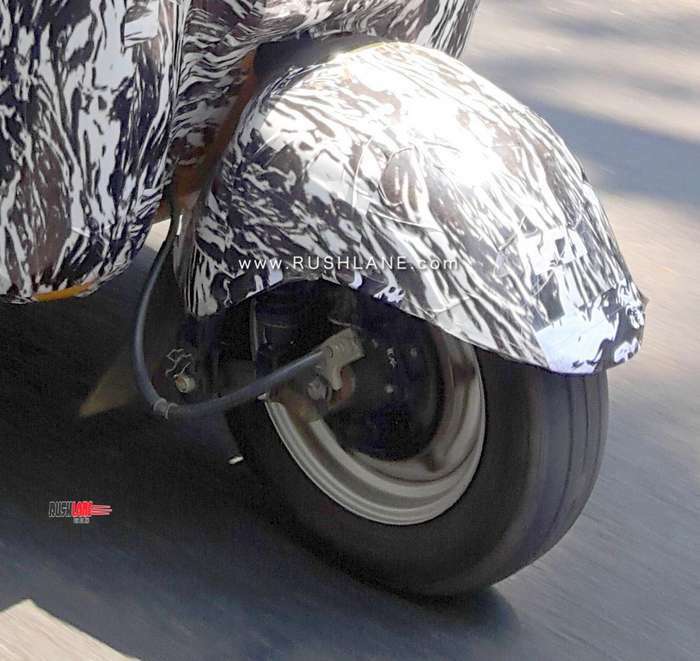 This brand will take care of Bajaj’s electric vehicles. 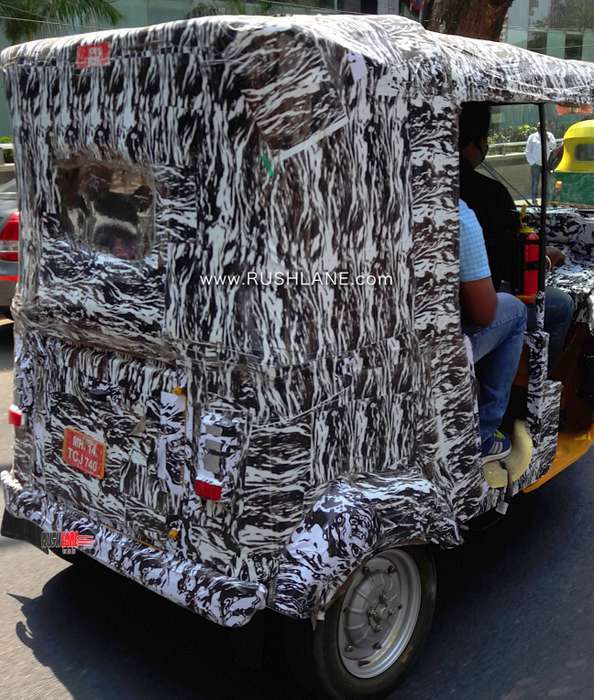 Bangalore is a primary market for electric vehicles. 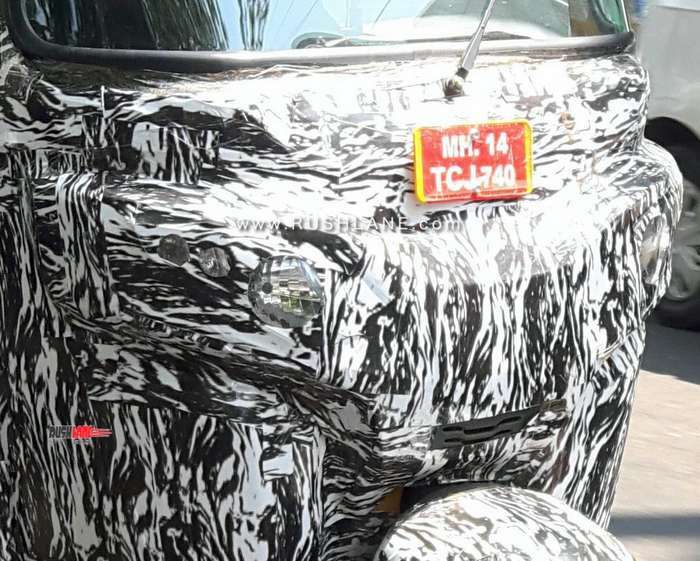 Not only it has better infrastructure for EVs as compared to other regions in India, it also his home to companies like Bosch, Continental, etc, which are leading electric automotive components provider in the world. 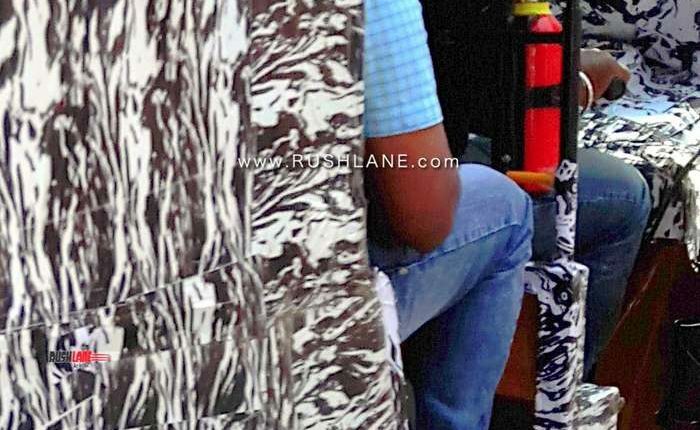 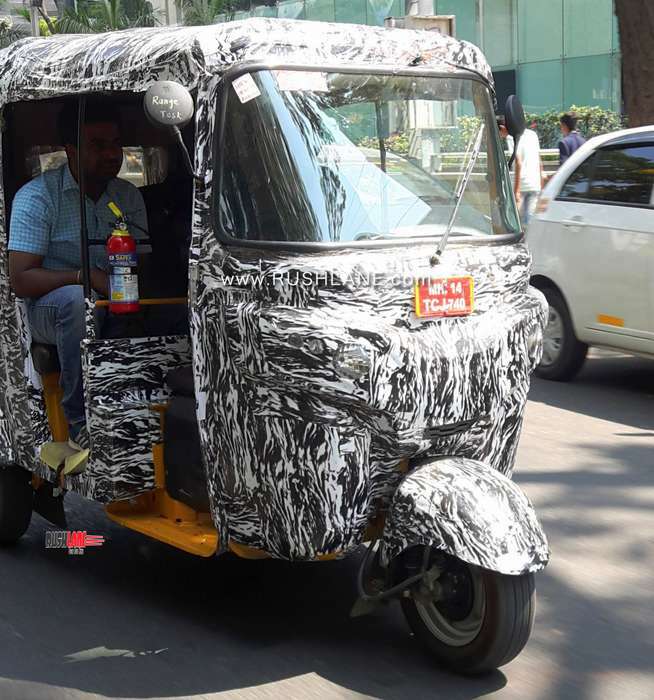 This could be one of the reasons why Bajaj has chosen this place for testing their new electric rickshaw, unlike other vehicles where Bajaj Auto prefers testing in Pune, close to its company manufacturing base. 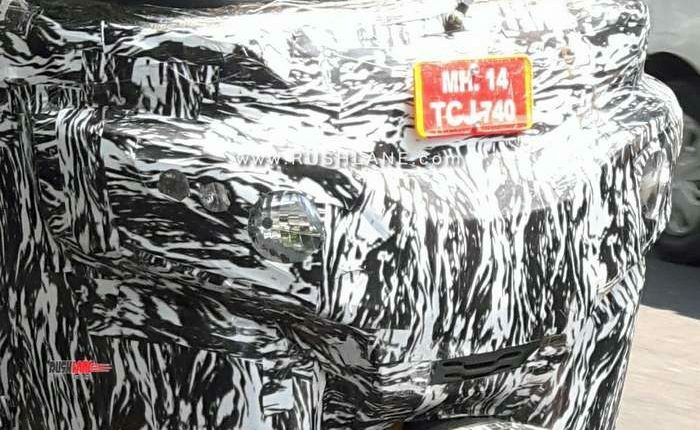 The model on test in Bengaluru also sports an MH14 number plate with is distinctive of the Pimpri-Chinchwad region in Pune. 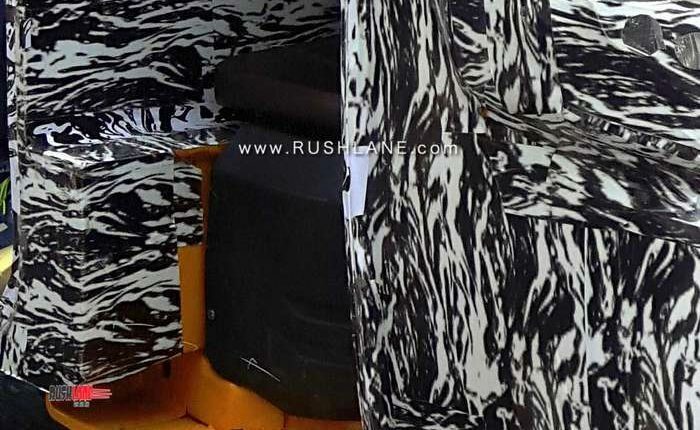 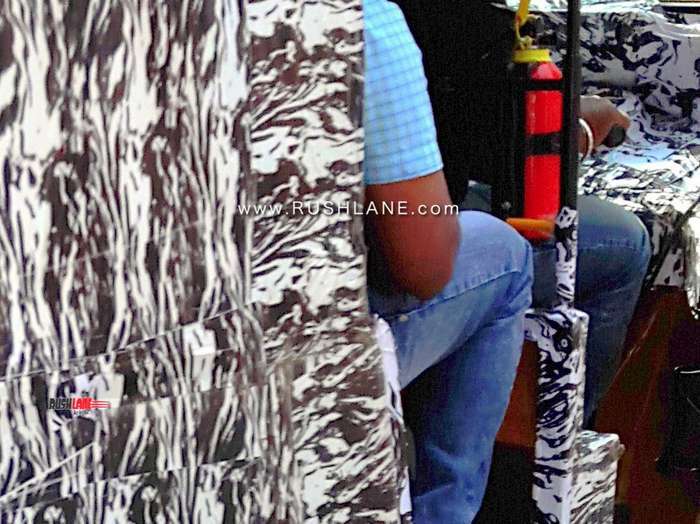 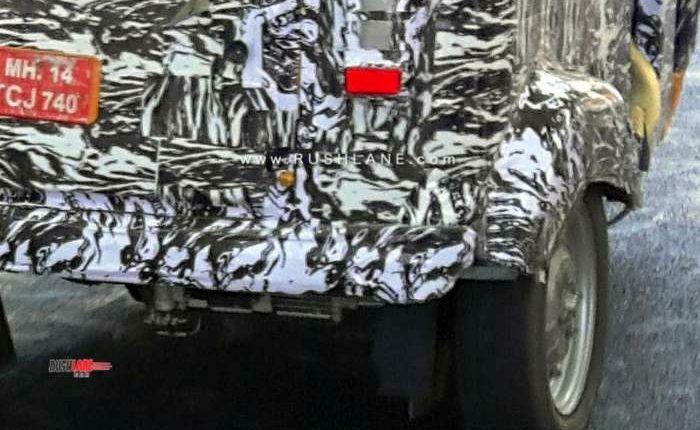 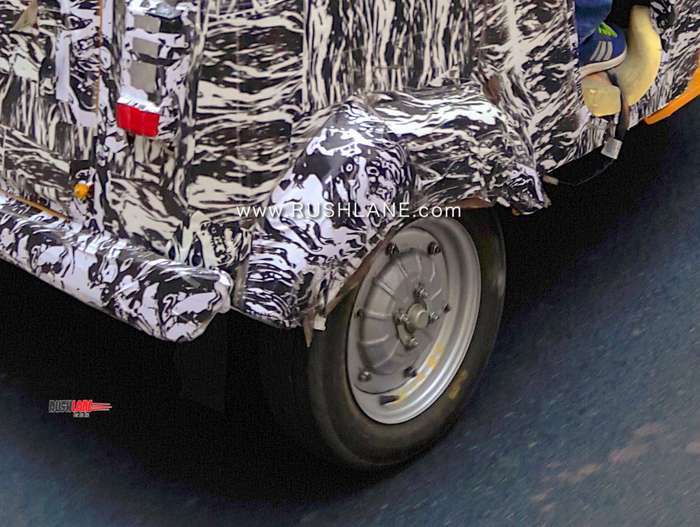 The test mule, under heavy camouflage, primarily displayed the same overall design as the regular Bajaj RE rickshaw, albeit in a smaller dimension. 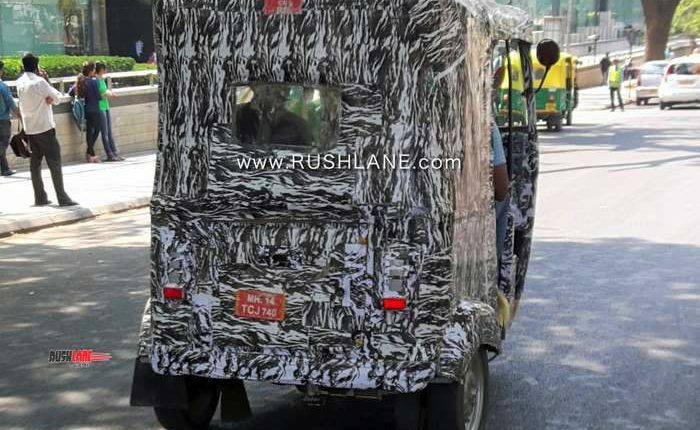 Unlike the regular rickshaw, this one is narrower. 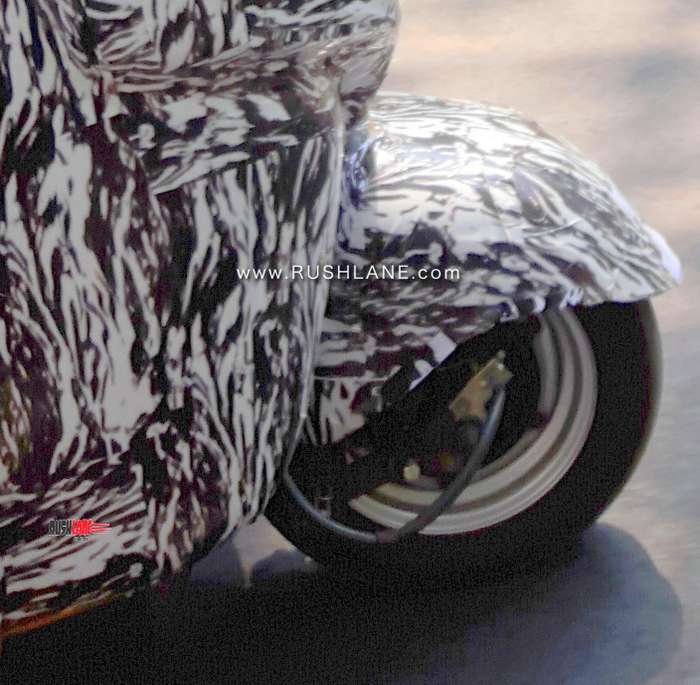 Another difference was noted is the absence of a tail pipe, since it is an electric vehicle. 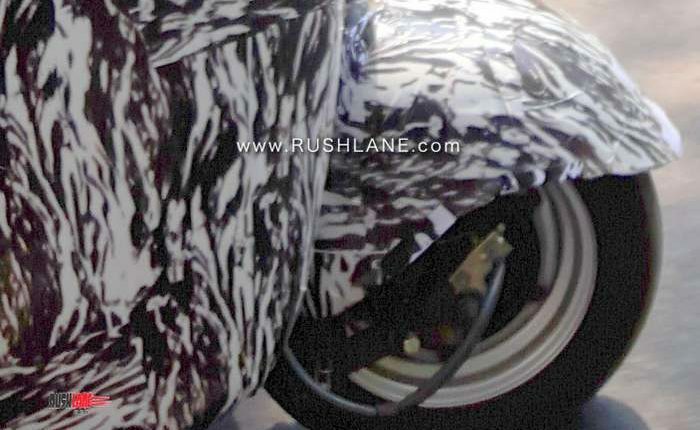 Other than this difference, the model on test sported a soft top, bright red tail lamps, etc. 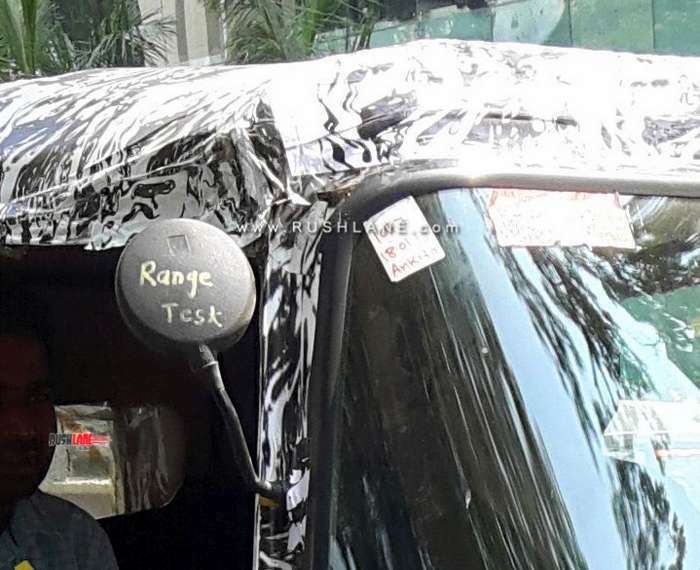 Features on offer could also include a digital instrument cluster, fire extinguisher, powerful headlights, etc. 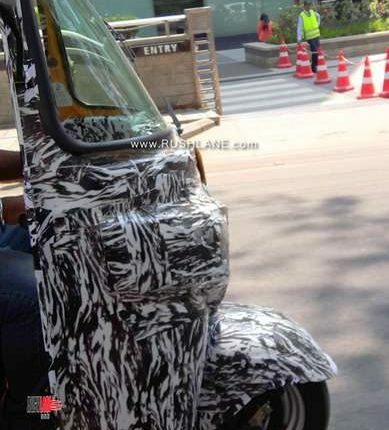 Bajaj RE electric rickshaw is said to come in with a range of 120 kms with a top speed pegged at 45 kmph. 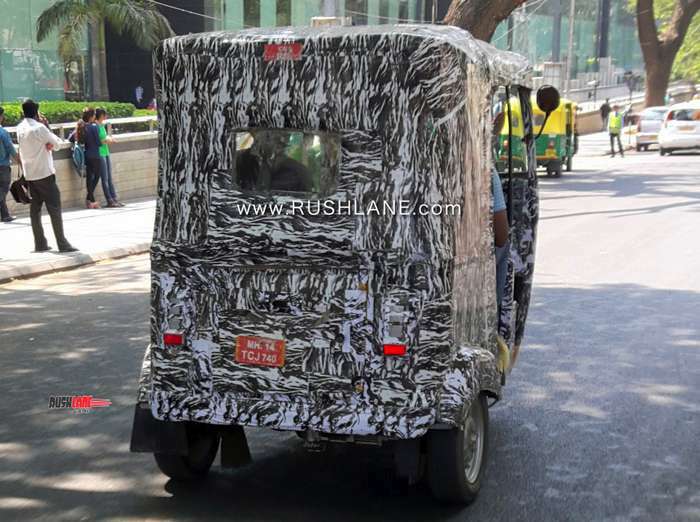 The four seater (driver and 3 passenger) auto rickshaw could have a kerb weight of 400 kgs (thanks to the added weight of batteries). 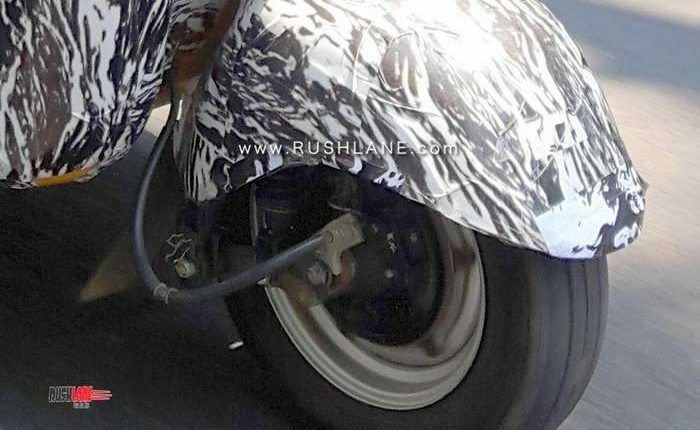 The 48 volt lithium batteries will be swappable and can be charged via an on board charger in 6 hours. 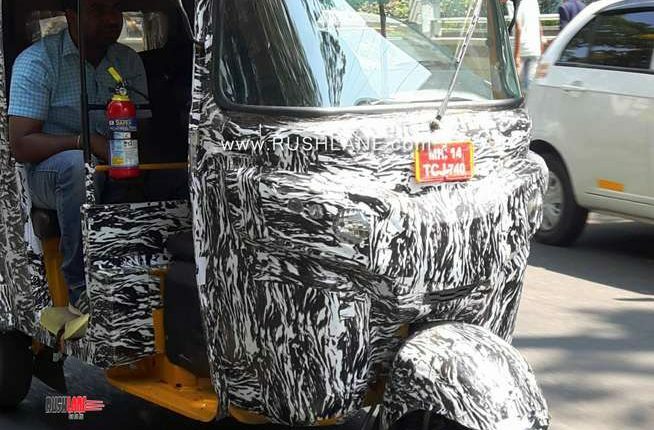 The Bajaj electric auto rickshaw will have to contend with the Mahindra Treo electric rickshaw, which were launched last year. 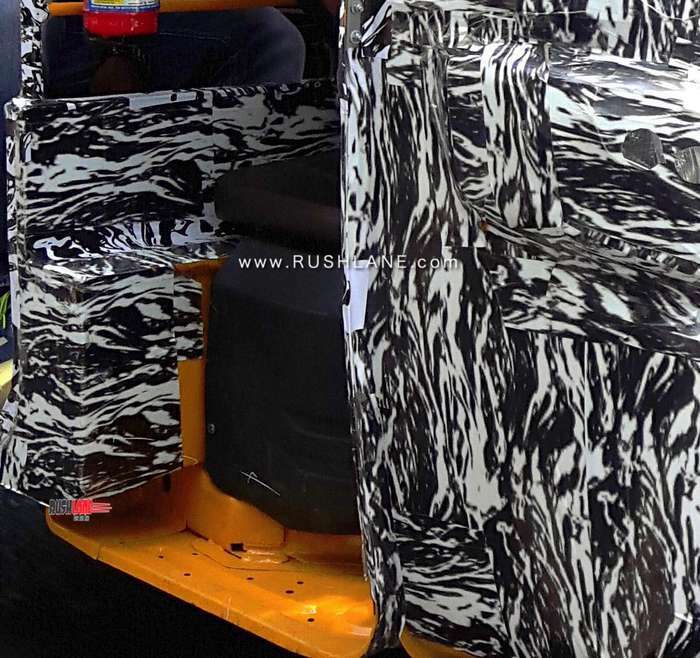 Other manufacturers are also working on launching electric rickshaws in the country. 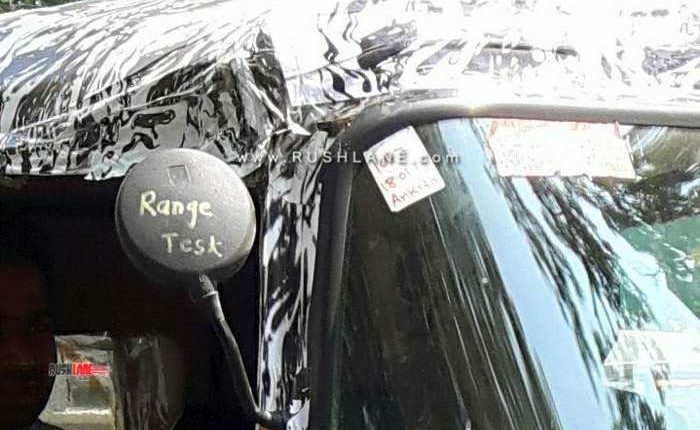 Indian Govt has passed the FAME 2 scheme for EV subsidiary. 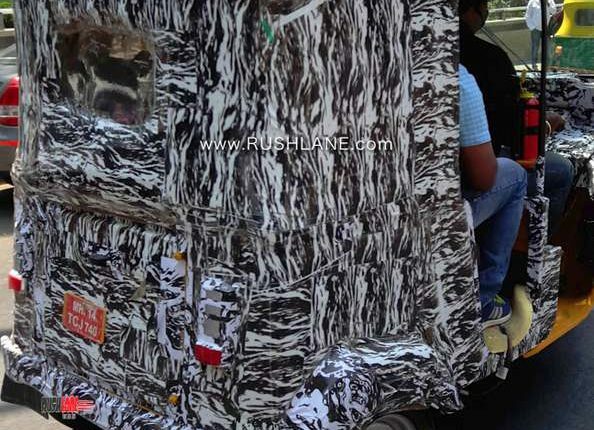 A total of Rs 10,000 crores will be given to buyers of EV in India, over the next 3 years.